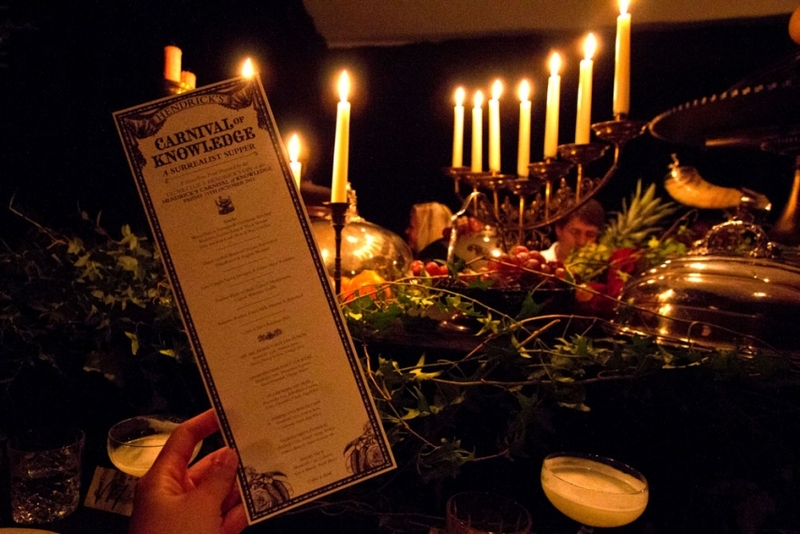 It's London Cocktail Week, celebrated in style with a Surrealist Supper from The Clove Club as part of Hendrick's Carnival of Knowledge. 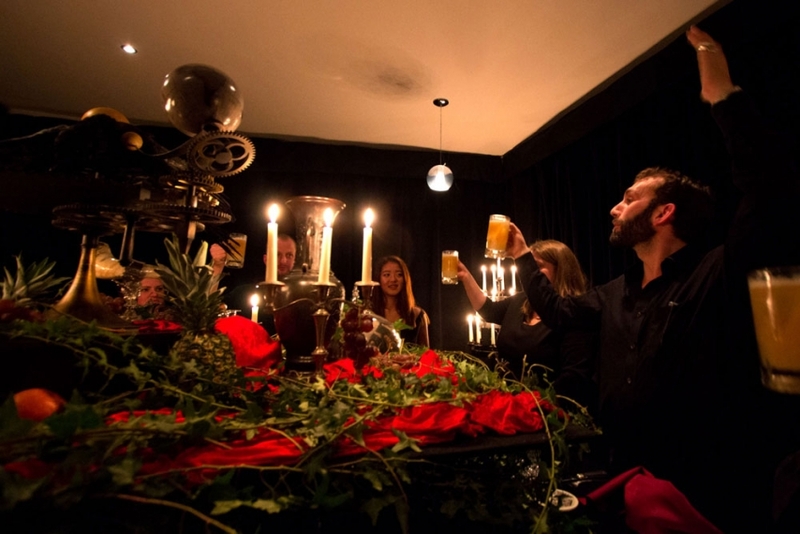 A most unusual evening complete with disembodied hands for bartenders, a horn of plenty and more! 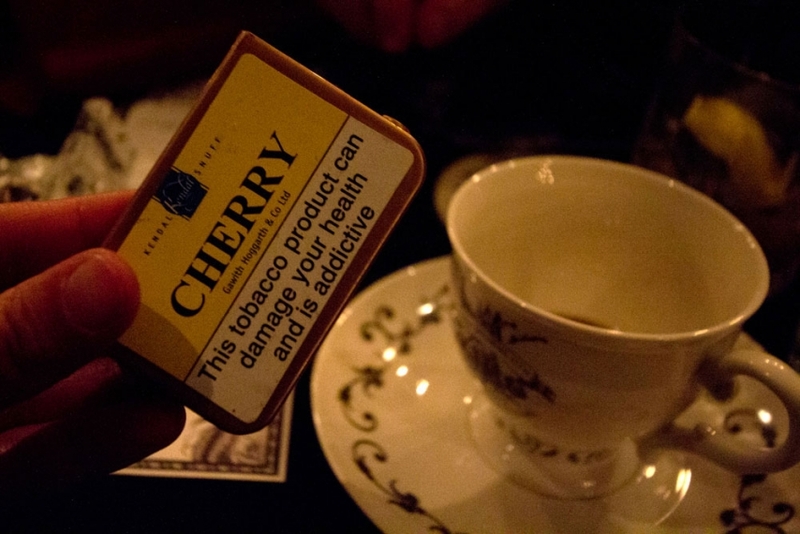 Tonight we had the privilege of enjoying a unique Surrealist Supper from The Clove Club within the opulent surrounds of 33 Fitzroy Square, which has been transformed into a hub of activities by Hendricks for London Cocktail Week. 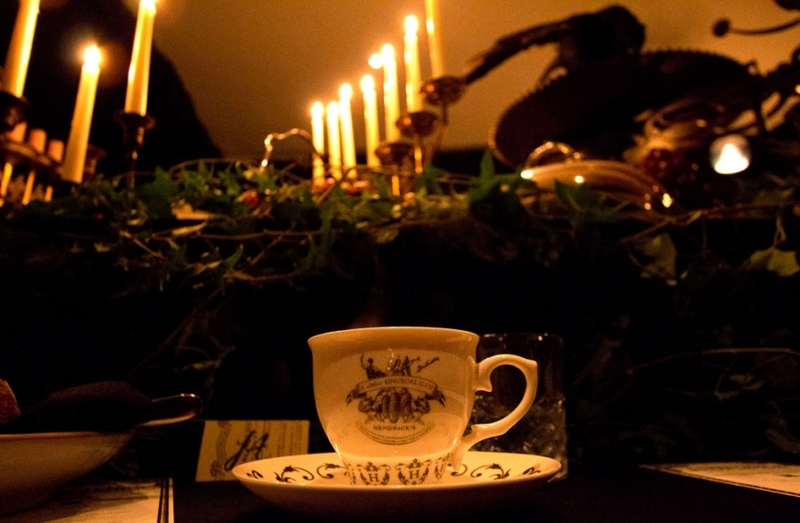 The invitation promised "a cornucopia of curious courses, delicious cocktails and diverting entertainments will be presented for your delight and delectation" and dinner did not disappoint, with heads appearing from the center of the dining table, drinks made and served by disembodied hands, and a horn of plenty, it was certainly an experience. 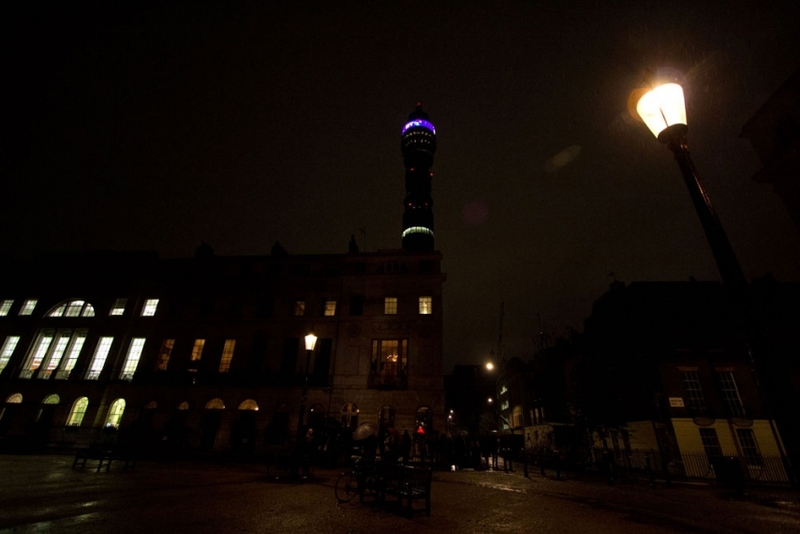 More photos of the evening below. 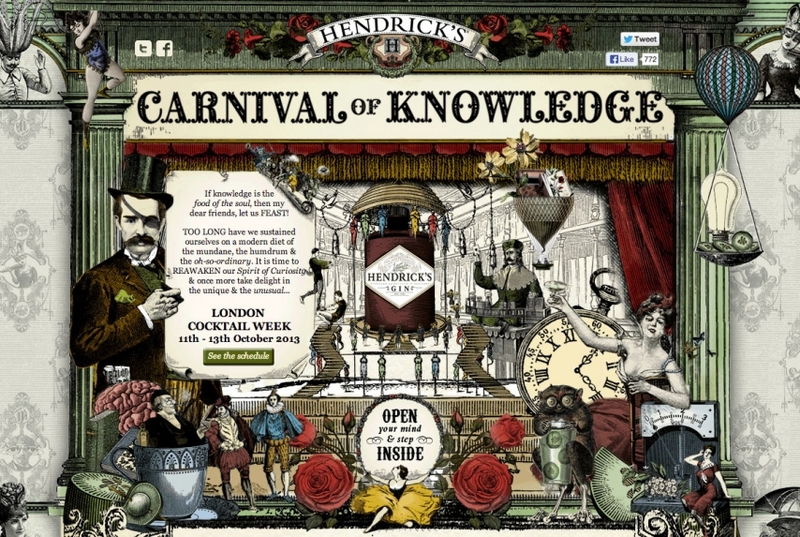 The Carnival of Knowledge continues throughout the weekend, find out more at the gorgeous site here. 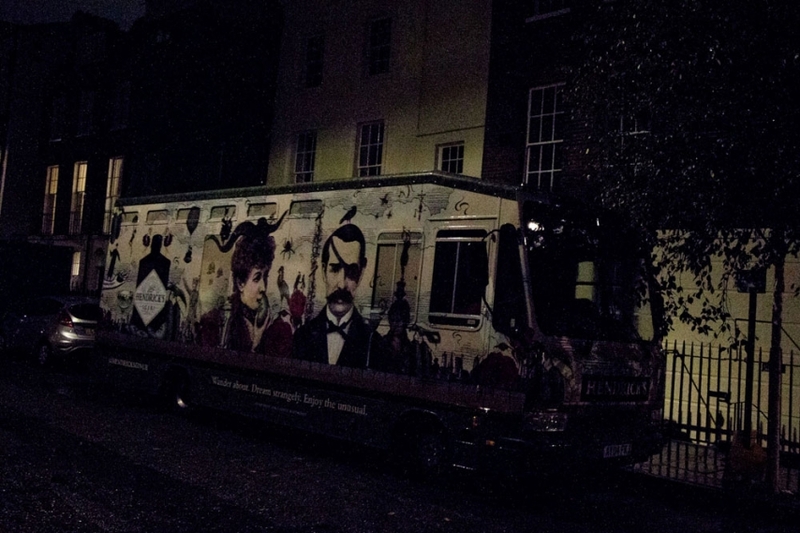 Arriving at a rainy Fitzroy Square. Entering the building for pre-prandial tipples. 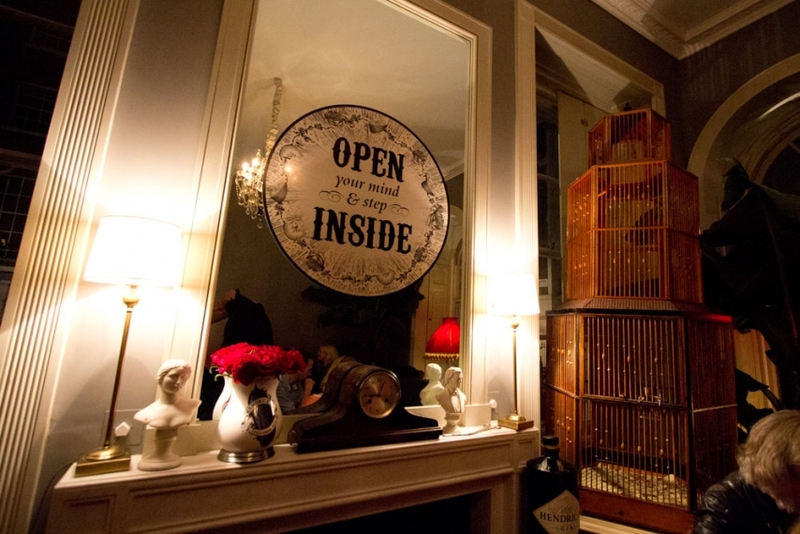 A decadent parlor room, complete with the Unusual Times newspaper, chandeliers and taxidermy (including a polar bear, of course). 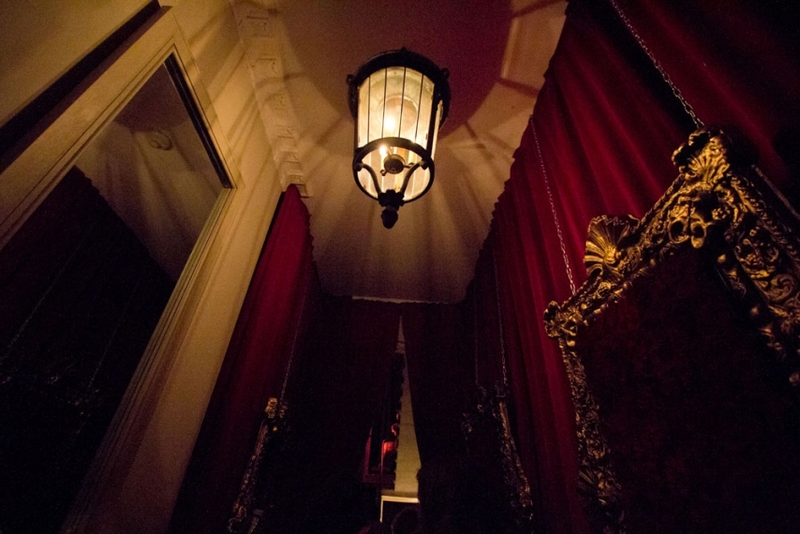 Entering the dining room for a Surrealist Dinner with from the Clove Club. 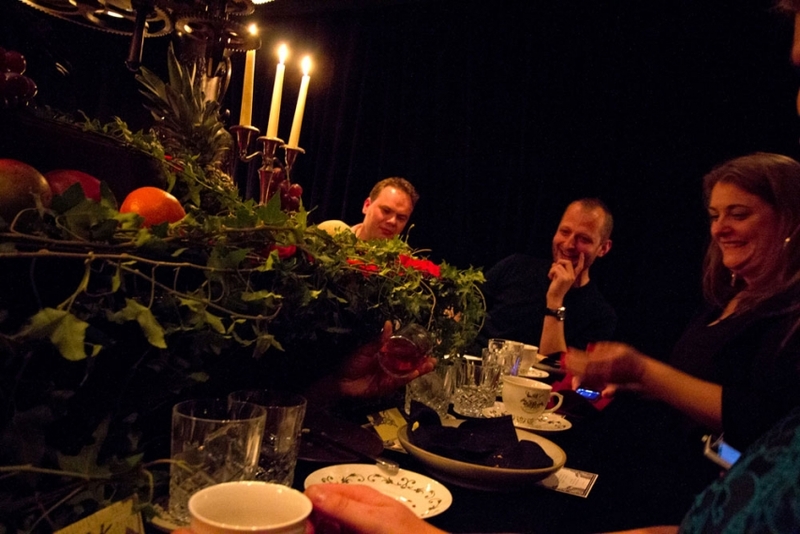 Guests were scattered across the table at random around the table piled high with candelabra, fruit and taxidermy. 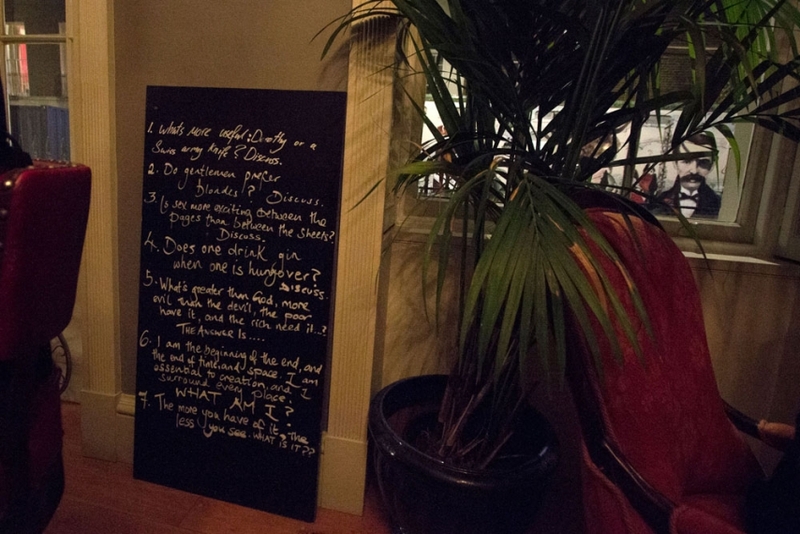 The menu for the evening, including a series of delectable delights and complement of cocktails. 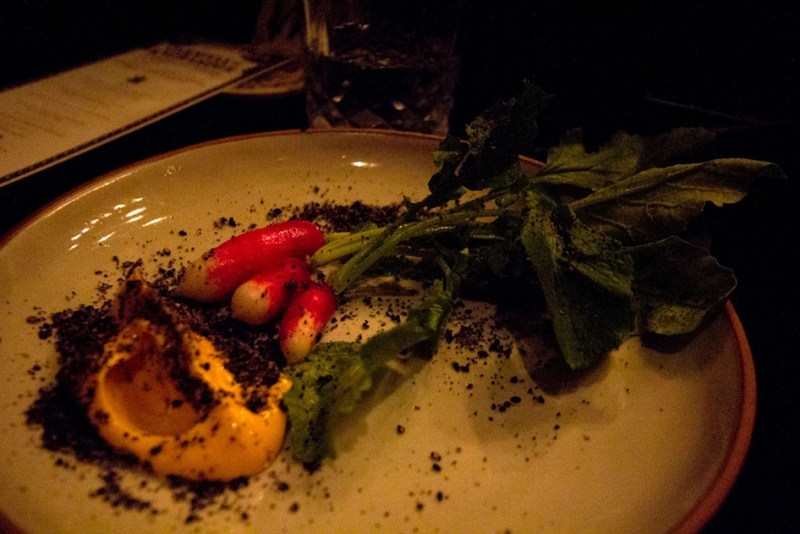 Radishes, gochuchang and black sesame, one of a trio of opening snacks. 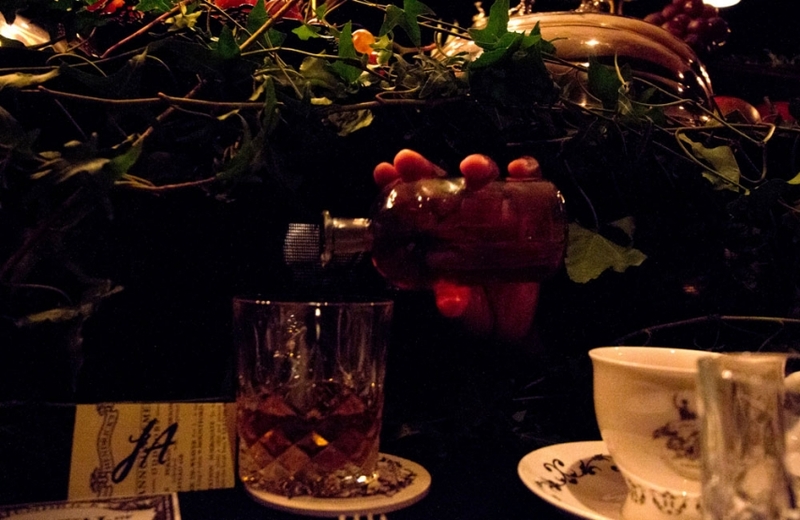 A most unusual evening from a most unusual gin. 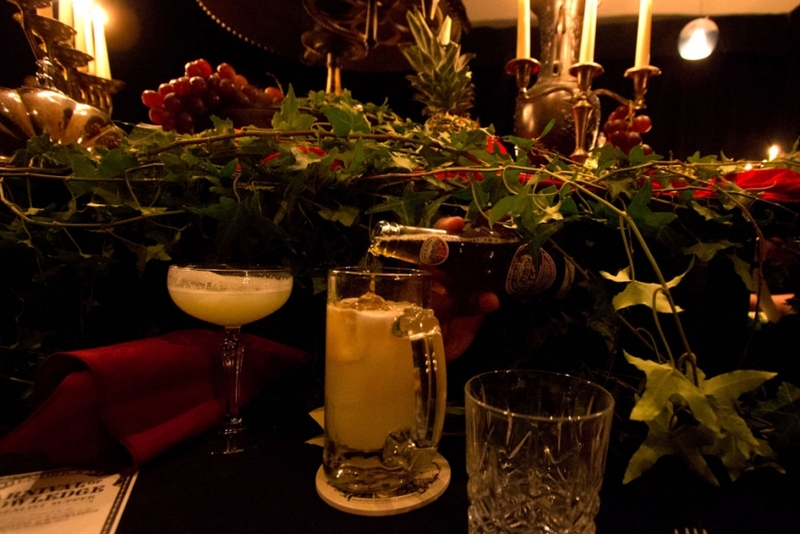 Our first cocktail of the evening, Mr Micawber's Hot Gin Punch with Hendrick's Gin, Madeira, Spices, Honey, Lemon and Orange Zest. 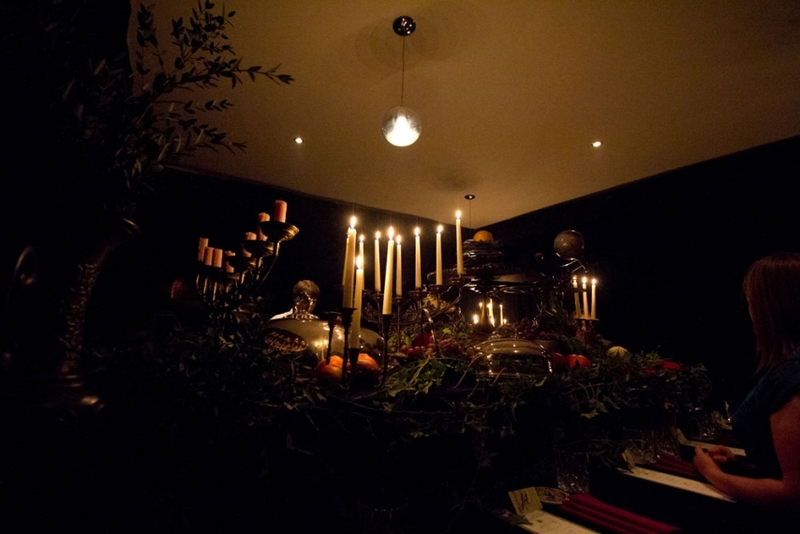 You know dinner is taking a turn for the surreal when a chef pops out from under a cloche in the middle of the dining table. 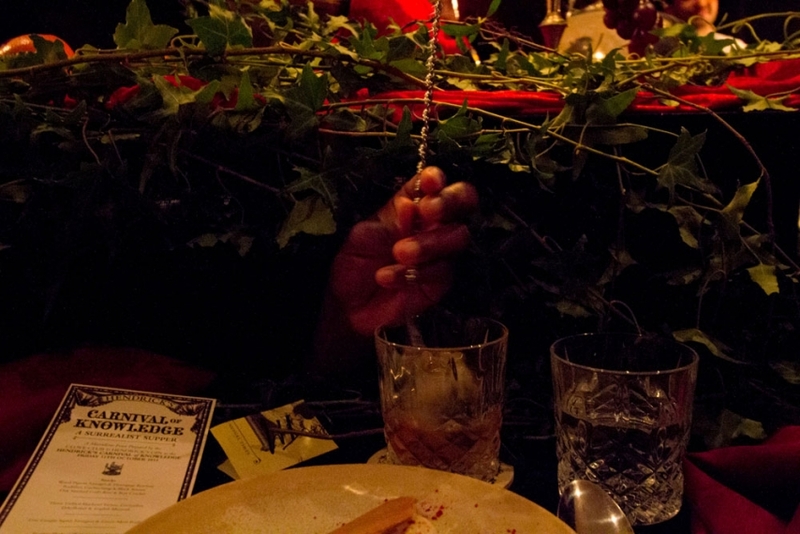 Followed swiftly by hands emerging from beneath the ivy to make and serve cocktails. 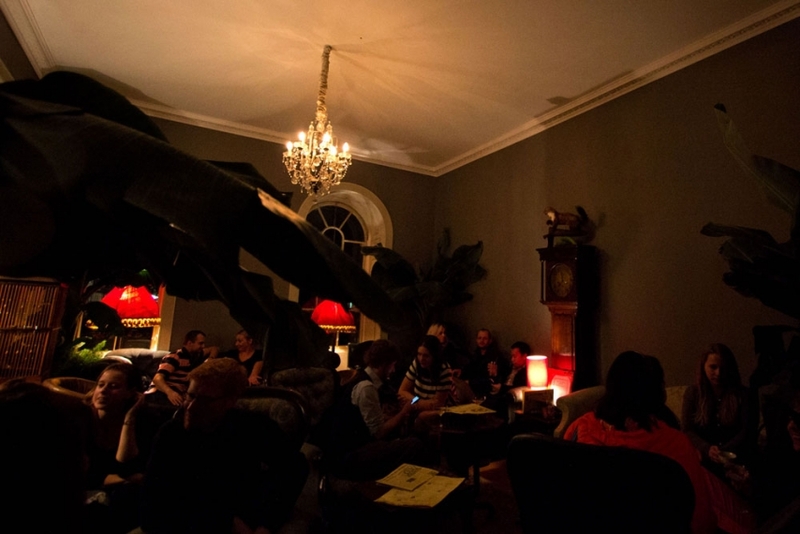 It may be London Cocktail Week, but these may be the under-table barmen of the week! The hands serve up the next cocktail, the Diamond Martinez. 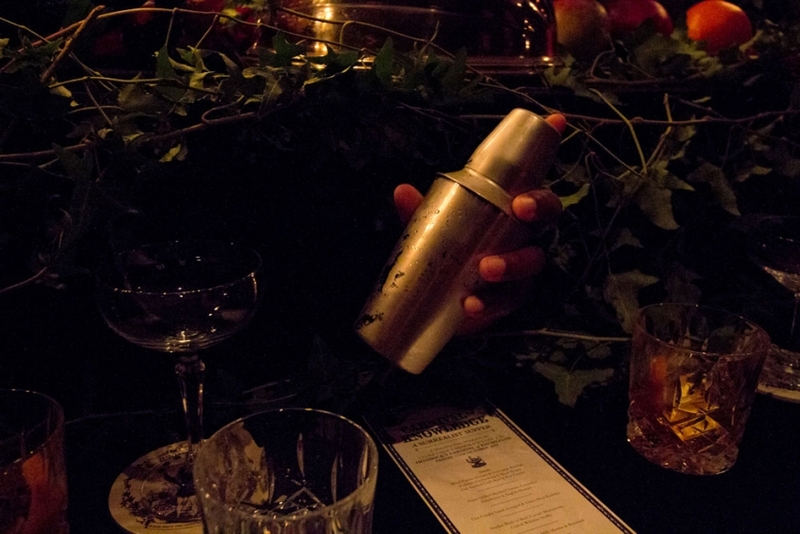 Our adept invisible bartenders shake up a St. Germain des Pres. 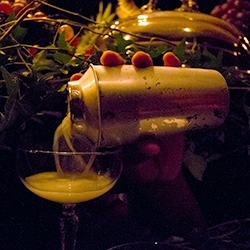 The cocktail is made from Hendricks, Elderflower liquer, lime, cucumber, chilli and egg white. 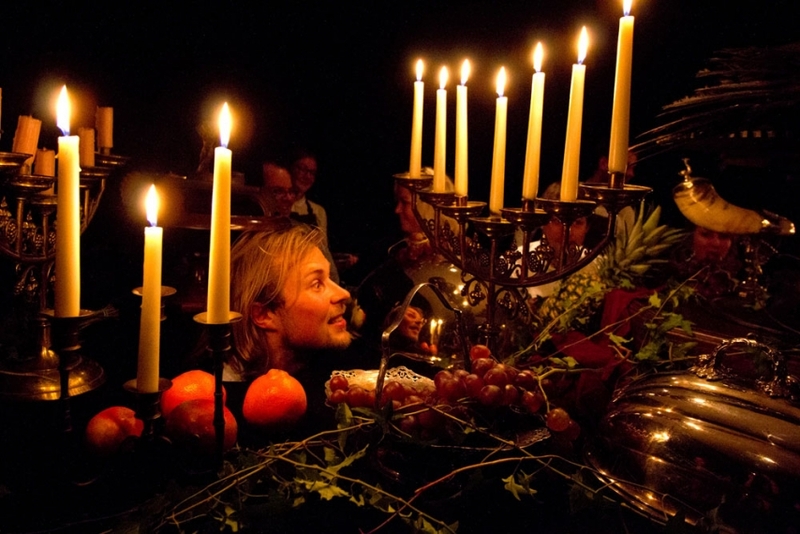 Sombre music accompanied the next course and Trimalchio's Funeral. 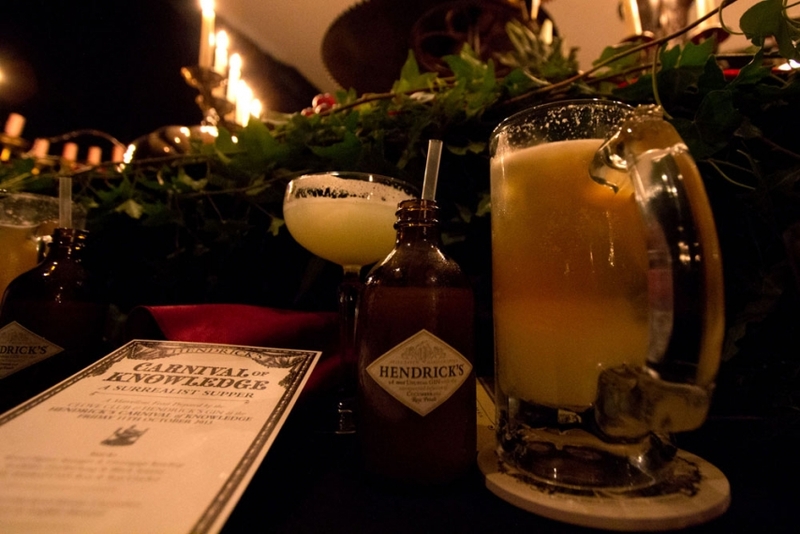 Toasting to the dead with Hendricks, ginger syrup, honey, lemon, and Innis & Gunn Scottish Ale. 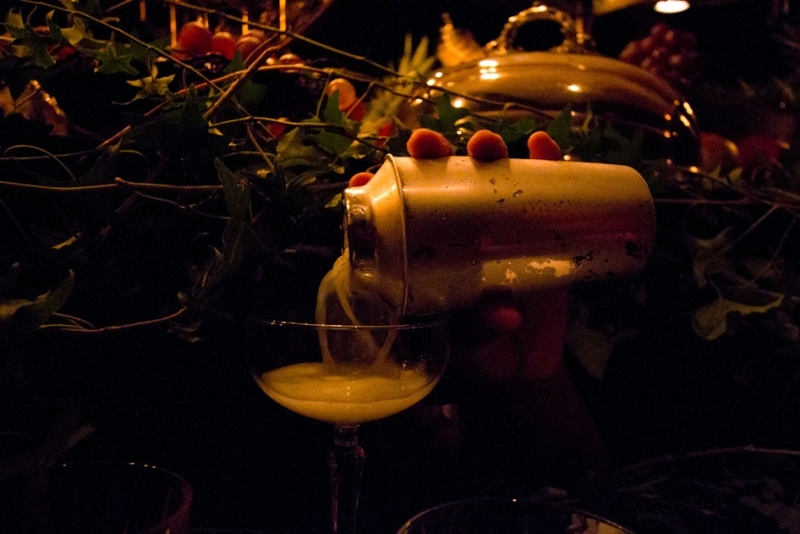 An adorable little bottle of Diminutive White Lady. 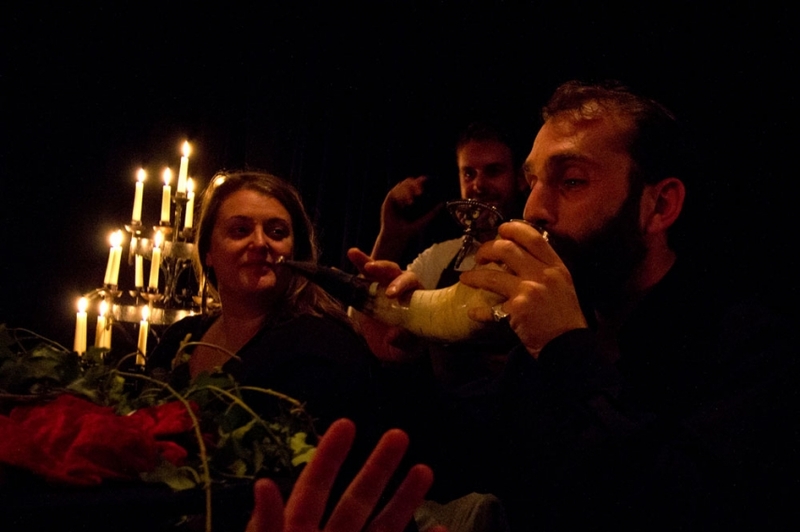 The Horn of Plenty, making its way around the table (rather more successfully than the game of Telephone!). 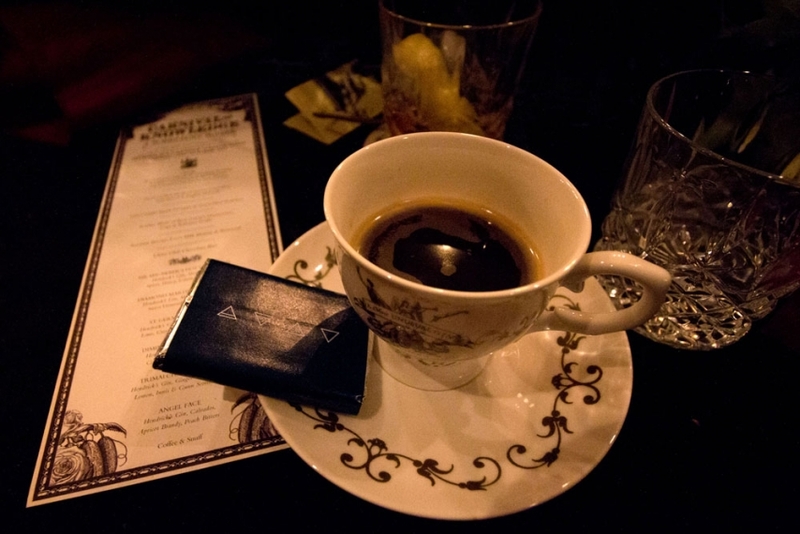 After-dinner coffee, chocolates and snuff, which brought sneezes out across the table. 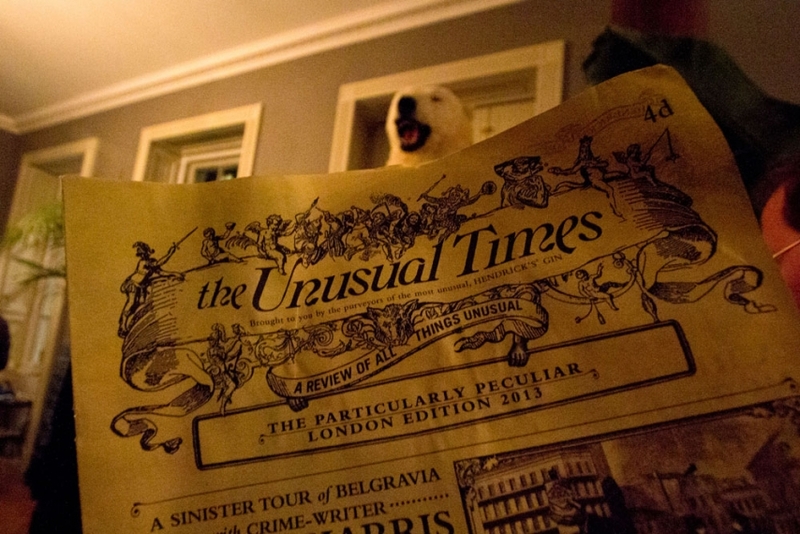 All in all, a most unusual evening! The full offerings of the evening of exquisite dishes. 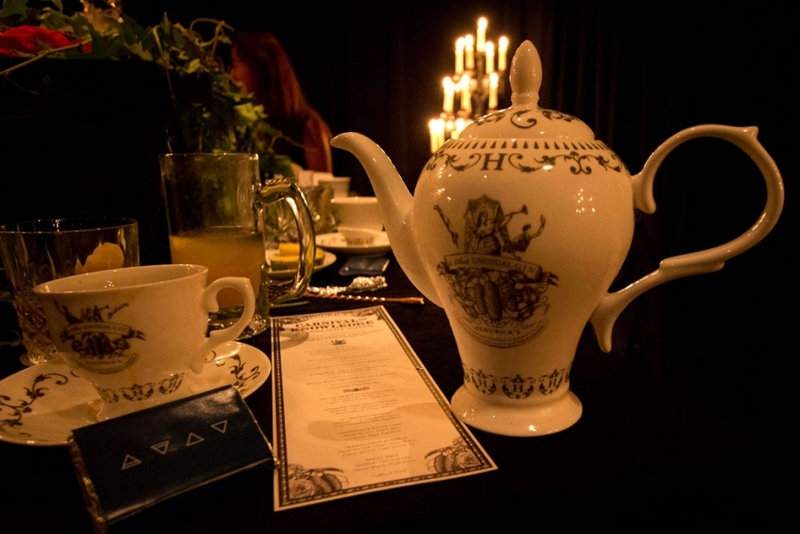 To find out more about the Hendricks Festival of Knowledge, visit their website here.